Old Ridgefield: Free as a bird? People use the phrase “free as a bird,” but are birds really free? “Free” is one of those words that mean different things to different people. Americans live in the land of the free, but if they fail to pay their income taxes, they may wind up as jailbirds. Despite being free, we have obligations and even a hobo has the obligations to feed and shelter himself. Birds, too, have obligations. Foremost is survival. To survive they must feed themselves. Since most birds have evolved into feeding on certain kinds of foods, they must live near the sources of that food. Thus, a Sanderling, which lives solely on seashore creatures, is not about to take off from an ocean beach and head for a vacation on the Kansas plains. Many birds migrate, sometimes thousands of miles, to find food and nesting grounds. Other birds are homebodies, sticking to the same small neighborhoods all over their lives. They are free to choose where to feed and where to nest, but only within restrictions of terrain and location. Some birds might be said to be “freer” than others. 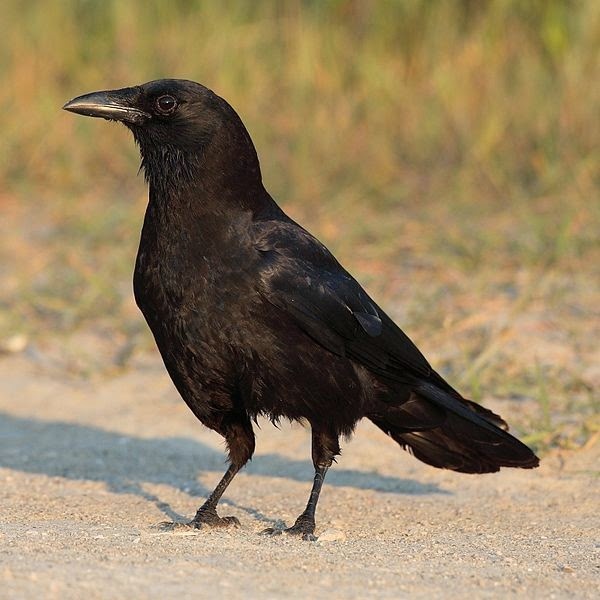 The American Crow and many species of gull are remarkably flexible in the kinds of foods they eat and the territories they inhabit. You will find crows at the edge of the ocean and deep in the desert, in the near tropics and the frozen north, in backyards and thick forests. Some crows migrate, some don’t. And judging from the refrigerator leftovers I’ve seen them eat, they may be the ultimate omnivore. The sight of a bird in flight feeds the imagination and no doubt inspired someone to concoct the phrase, “free as a bird.” But birds are mostly bound by both need and instinct to dwell in certain places and follow certain patterns of living. Humans, who can hop in a car, or board a plane or boat, and travel anywhere in the world, would be the envy of any bird — even the ubiquitous crow — that might have an urge to be free.